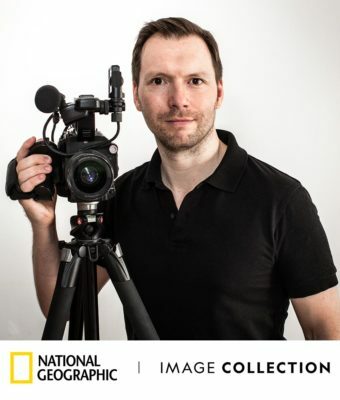 My name is Sean Gallagher, a British photographer and filmmaker who has been in Asia for over a decade. I am based in Beijing, China. From the Tibetan Plateau to the Indonesian archipelago, I specialise in covering the Asia-Pacific region, documenting its most important environmental, social and cultural issues for some of the world’s leading news outlets. I create photographic, video and multimedia projects that highlight individual’s stories from communities that are affected by issues such as climate change, biodiversity loss, pollution, desertification and deforestation. I am a 7-time recipient of the Pulitzer Center on Crisis Reporting travel grant, my images are represented by the National Geographic Image Collection and I am a Fellow of the UK Royal Geographical Society. I graduated in Zoology from university in the United Kingdom and it is my background in science that has led to much of my work being focused on communicating environmental issues through visual storytelling. Made a Fellow of the Royal Geographical Society (with IBG) for continuing work documenting environmental issues in Asia (2014). Environmental Film of the Year – Winner – ‘The Toxic Price of Leather’. Atkins CIWEM Environmental Photographer of the Year Competition 2014. Seven-time recipient of travel grant from The Pulitzer Center on Crisis Reporting (2009-2017). Photocrati Fund Honourable Mention (2013 & 2012). First Place for Multimedia in the Press Photographer’s Year Awards (2011). Shortlisted at the Lumix Festival for Young Photojournalists in Multimedia Category (2010). Honourable mention at the Earth Journalism Awards at COP15 (2009). First recipient of the David Alan Harvey Fund for Emerging Photographers (2008). Selected to undertake a 1-year paid internship at the photojournalism agency Magnum Photos (2004-2005). Mentored by the late, Philip Jones Griffiths. My approach to visual storytelling and extensive experience in Asia, allows me to create unique photography and video projects for my editorial and commercial clients. I collaborate extensively with the Pulitzer Center on Crisis Reporting who have helped sponsor many of my projects in Asia. These projects have included a 4000km journey across China documenting the threats from increasing desertification, a cross-country journey through India photographing the effects of pollution and a 1-month journey across the Tibetan plateau recording the effects of climate change on the ‘roof of the world’. I have worked on photo and video projects for some of the world’s leading international brands. I use my background in editorial photography and video to create character-driven stories, utilising creative photography and cinematographic techniques to communicate campaigns. I was previously a senior lecturer on Bolton University’s International Multimedia Journalism Programme (2015-18) in Beijing and am involved in education-outreach programmes both in Asia and the United States, using visual storytelling to communicate the issues that I cover to a wide variety of audiences.